SVD100 series is a high performance and precision servo system. Large powers range is available with low and medium inertia servo motors; Support incremental, absolute encoders 17, 20,23-bit which offer excellent speed stability and positioning accuracy. Bandwidth is 1.25 kHz, allowing a settling time of less than 1ms. 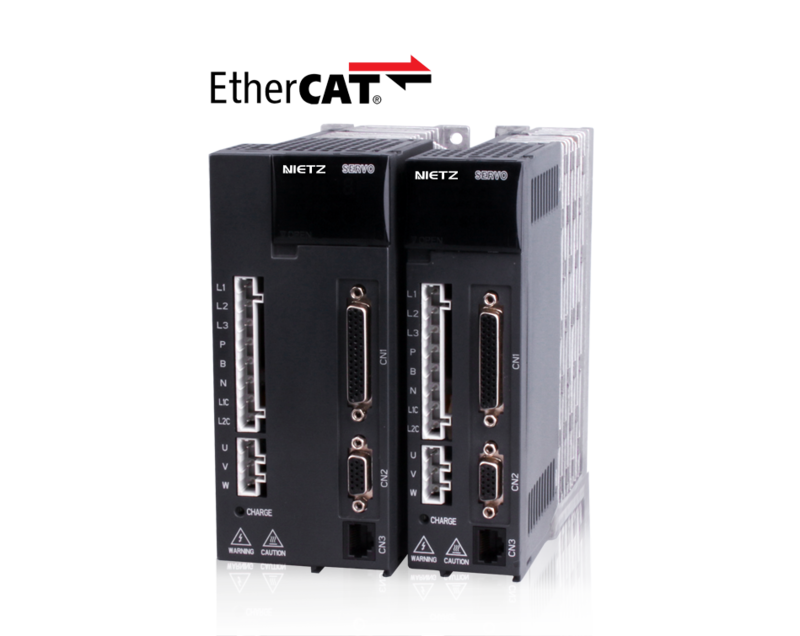 The SVD100 EtherCAT communication interface, complies with IEC61158 and IEC61800-7 for faster, real-time, accurate performance in high-end applications..